Mount Clemens, Mich. â€” VanTol Insurance Group, LC, a newly formed independent insurance agency owned by Christopher P. VanTol, has acquired certain marine division client accounts from Brown & Brown of Detroit, Inc. Whether from a traumatic injury or general wear and tear, chances are that something is eventually going to lay low even the healthiest athletes. Knowing when to take a break and recover is just as important as hitting the gym, and dealing with your injuries instead of ignoring them will help reduce the time it takes to get you back in the game. Especially in the off-season, you should be checking in with your body and making sure that itâ€™s at 100 percent. 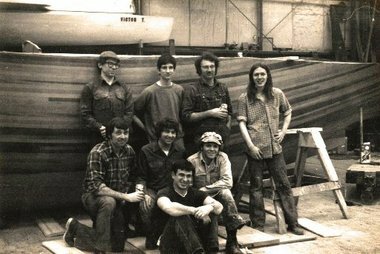 Jan C. Gougeon's love of sailing and boat building helped him and his brother, Meade Gougeon, launch Gou geon Bros., a marine epoxy business that eventually would sell products to all parts of the world, and a sailing career that would launch Jan Gougeon forever into the record books. Gougeon died Tuesday, Dec. 18, in Ann Arbor after a long battle with respiratory issues. He was 67. 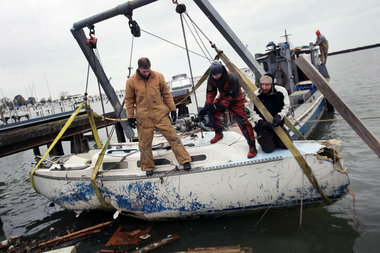 Dozens of boat owners could find themselves stranded ashore next summer after their vessels were sunk or extensively damaged by the wind and waves of superstorm Sandy.